Club Penguin Cheats by Mimo777 Club Penguin Cheats by Mimo777: Sneak Peek: January 2013! For those of you who guessed that the last sneak peek was for a dino party, you were right! Club Penguin will have be having a prehistoric party in January! This sounds awesome! Do you think this party with be SUPER cool?! Or will it FAIL? One word to describe this. AWESOME!! Sorry you said not to type in all-caps but I can't help it! I just hope they won't do everything at the start and make you bored in the end. Yes, I was right! This party seems fun with the right items for people to get! If the decorations and items are a total fail, then the whole party fails. But hopefully, the party is going to be a blast! It will never fail!! No CP parties have failed YET! Mimo, something happened to all the coin totals on the island!! They've all gone blank or broken! Basically looks like a new adventure party. Looks pretty cool... but I can see why people won't be interested. What's New in January 2013!? Club Penguin Pin Cheat - HOLIDAY COOKIE PIN! Reviewed By You: Coins For Change! Club Penguin FREE Party Gifts: Dec. 25! Club Penguin FREE Gifts: Dec. 23rd! Christmas Party FREE Gifts: Dec. 22nd. Happy Holidays from Club Penguin! Christmas Party FREE Gifts: Dec. 21st! Club Penguin EPF Messages: G! Club Penguin Cookies for Change! Christmas Party: When Can I Meet Rockhopper? Daffodaily5's Featured Fashions: December 17th! Christmas Party Reviewed By You! Club Penguin Pin Cheat - SNOWFLAKE PIN! December 2012 Club Penguin Better Igloos! December 2012 Snow & Sports Catalog! Penguin Style Clothing Catalog for December 2012! Herbert P. Bear Threatens To Return! A Humbug Holiday Has Returned To The Stage! 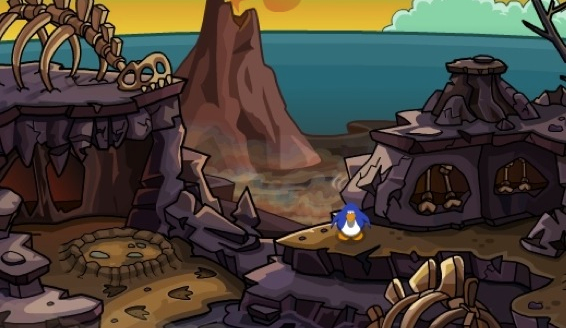 New Club Penguin Rooms Are Here! The EPF Director's Secret Revealed! Daffodaily5's Featured Fashions: December 3rd!